A comprehensive report on the collision between the "Alnic MC" and the US naval destroyer USS "John S. McCain" in August 2017 cited a breach of protocol on board the tanker as well as unfamiliarity with navigational controls and a breakdown in communications on board the warship as factors in the deadly crash. Ten American sailors were killed when the tanker broadsided the Arleigh Burke-class guided-missile destroyer in the Singapore Strait in the early morning hours of Aug 21. Following an investigation into the incident, Singapore’s Transportation Safety Investigation Bureau (TSIB) released its report specifying that a crew change on board the "John S. McCain" and inadequate collision prevention steps on the "Alnic MC" contributed to the accident. “The safety investigation determined that the USS John S McCain made a sudden turn to port into the path of Alnic MC because of a series of missteps that took place after propulsion controls were transferred. When the bridge team of Alnic MC saw the USS John S McCain turning, it presumed that the USS John S McCain would be able to safely pass ahead … and the actions taken by Alnic MC were insufficient to avoid the collision.” Although it found evidence of poor practice on the part of "Alnic MC"’s master, the most serious operational errors detailed in the report centred on an inadvertent transfer of steering control between stations on the USS "John S. McCain". The TSIB report’s findings echoed a US Navy report into the incident published in November 2017 that resulted in court martial charges for dereliction of duty, hazarding a vessel, and negligent homicide against the "John S- McCain"’s commanding officer and a dereliction of duty charge against the ship’s chief petty officer in January 2018. The TSIB report found it problematic that sailors in charge of steering had been temporarily assigned from other vessels and had little familiarity with the "John S. McCain"’s steering controls. The report also took issue with an “authority gradient” that hindered “team decision making” on board the destrpyer: “Naval vessels are likely to operate under strict protocol and reporting lines. The crew are thus likely to be focused on individually assigned tasks. When the authority gradient is too high, team decision making is affected, and there is less opportunity for intervention.” As for the "Alnic MC", the report found that the vessel’s master did not adhere to protocol by having three people on the bridge when the vessel’s safety management system stipulated there should be five. A substitution test performed on a simulator at the Singapore Maritime Academy for use in the TSIB report also highlighted that the Alnic MC master could have slowed the vessel further in an attempt to avoid or lessen the damage of a collision. “The substitution test … established that the role-play master reacted in a similar manner as the master of Alnic MC, by reducing speed instead of altering course. But unlike the master of Alnic MC, the role-play master ordered engines to full astern, as opposed to half ahead as was done by the master of Alnic MC,” the report said. 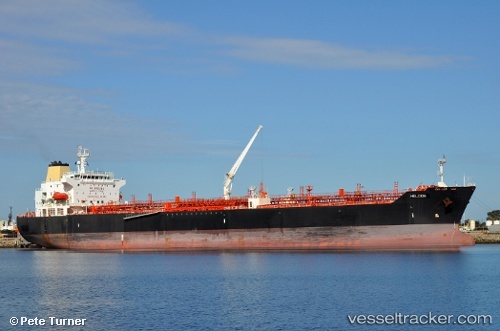 The "Alnic MC" was on a routine loaded voyage from Mai Liao, Taiwan, bound for the Port of Singapore, and was drawing a mean draught of about 8.65 meters when the vessel struck USS "John S. McCain" in Singaporean territorial waters. Singapore authorities have laid the blame on last year’s collision between the USS John S. McCain and the tanker on the warship’s decision to make a sudden turn in one of the world’s busiest shipping lanes. The destroyer and the tanker collided while transiting the Singapore Strait last August. Divers have recovered the remains of all 10 sailors who went missing after the USS "John S. McCain" collided with the "Alnic MC" near Singapore, the U.S. Navy said on Aug 28. Navy and Marine Corps divers had been searching in flooded compartments of the destroyer for days after the damaged ship docked in Singapore. The cause of the Aug. 21 collision was under investigation. The crash ripped a gash in the destroyer's hull, flooding crew berths and machinery and communications rooms. The commander of the Navy's Japan-based 7th Fleet, Vice Adm. Joseph Aucoin, a three-star admiral, was dismissed last week after a series of accidents this year raised questions about its operations. The Navy also ordered an operational pause for its fleets worldwide to make sure all steps were being taken to ensure safe and effective operations. The Pacific Fleet will also carry out a ship-by-ship review of its vessels, looking at navigation, mechanical systems, bridge resource management and training. The victims ranged in age from 20 to 39 years old and came from eight U.S. states: - Electronics Technician 2nd Class Jacob Daniel Drake, 21, from Cable, Ohio - Electronics Technician 1st Class Charles Nathan Findley, 31, from Amazonia, Missouri - Interior Communications Electrician 1st Class Abraham Lopez, 39, from El Paso, Texas - Electronics Technician 2nd Class Kevin Sayer Bushell, 26, from Gaithersburg, Maryland - Information Systems Technician 2nd Class Timothy Thomas Eckels Jr., 23, from Manchester, Maryland - Information Systems Technician 2nd Class Corey George Ingram, 28, from Poughkeepsie, New York - Electronics Technician 3rd Class Dustin Louis Doyon, 26, from Suffield, Connecticut - Electronics Technician 3rd Class John Henry Hoagland III, 20, from Killeen, Texas - Interior Communications Electrician 3rd Class Logan Stephen Palmer, 23, from Decatur, Illinois - Electronics Technician 3rd Class, Kenneth Aaron Smith, 22, of Cherry Hill, New Jersey. On Aug. 24, divers recovered and identified the remains of Doyon and Smith.